C. S. Lewis wrote this novel in 1938 after a conversation with J.R.R. Tolkien. They lamented how little fiction was available to their liking, and Lewis agreed to write a space-travel story. He’d written little fiction so far, but as he says in a note preceding the story, he’d enjoyed H.G. Wells’s “fantasies” and owed them a debt. The resulting novel, more science fantasy than science fiction, contains many pages of imaginative worldbuilding and thoughtful philosophizing. At times, though, the plot slows and thins, as does characterization. Unlike The Screwtape Letters, which I enjoyed and recommend, it offers little humor or stylish writing. Readers making their first forays into science fiction and fantasy might enjoy more recent books better – the writing here is a little too dated and unsophisticated. However, readers who are trying to grasp the history of science fiction should read this as a milestone in the development of the genre and Lewis’s career. In addition, patient readers might enjoy the intriguing questions it raises about spirituality and ethics. Although it’s part of a trilogy, this novel reaches a satisfactory stand-alone ending. When our protagonist, having wandered the solar system, finally returns to Earth, his first act is to find a bar and order a pint of bitter. 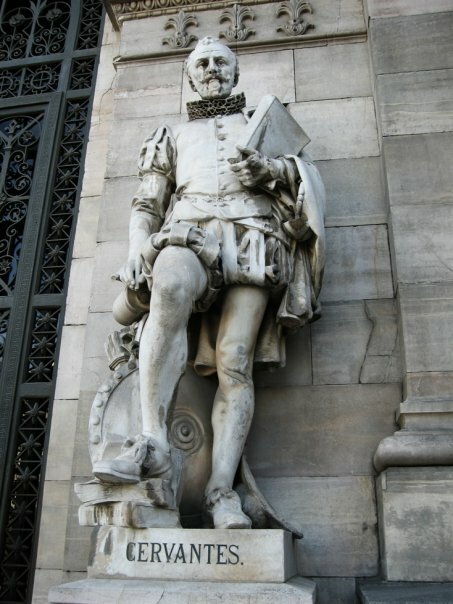 In front of Spain's National Library in Madrid, a statue of Miguel de Cervantes stands with one foot resting on a pair of books. One of them is spine-out, and we can read its title: Amadís de Gaula (Amadis of Gaul). That book tells the story of Amadis, from the fictional kingdom of Gaul, who was the greatest knight in the world. This Spanish novel of chivalry, written by Garci Rodríguez de Montalvo and published in 1508, became Europe's first best-seller. It was reprinted nineteen times, translated into seven languages, spawned forty-four direct sequels in several languages, and fueled an entire genre that lasted a century. (I also translated it into English.) Most notably, around 1600, it inspired Don Quixote of La Mancha. The second half of Don Quixote was published 400 years ago in 1615. Of course, Montalvo himself wrote the fourth book and Exploits de Esplandián (Sergas de Esplandián). Why lie about it? Because, as he himself put it, the novel “had been considered rank fiction rather than chronicles.” By proclaiming it an ancient story and perhaps even forgotten history rather than fiction, it could obtain the status of works by Homer and Cicero. He doesn’t seem to have fooled anyone, but he did set a pattern. Supposedly, the manuscript for the sequel Lisuarte de Grecia (Lisuarte of Greece) by Juan Díaz (1514) had been written in Greek in Constantinople and taken to Rhodes when the city fell to the Ottomans. Amadis de Grecia (Amadis of Greece) by Feliciano de Silva (1530) had been found in a wooden box behind a wall in a cave in Spain, hidden during the Moslem invasion in 711. Silves de la Selva (Silves of the Jungle) by Pedro de Luján (1546) was encountered in the magical sepulcher of Amadis himself, written in Arabic. And so on. Manuscripts were discovered in distant castles and during voyages to far-off lands. Some were written in Hungarian, Latin, Tuscan, German, Chaldean, and "Indian" (Sanskrit, perhaps). A few were even supposedly written by characters from earlier novels. Among the many jokes in Don Quixote whose punchline we have forgotten today is the one in Chapter IX. It recounts how, in a market in Toledo, a boy was selling some old paper to be reused. Cervantes looked at one of the pieces of paper, a pamphlet, and it turned out to be part of the History of Don Quixote of La Mancha, written in Arabic by Cide Hamete Benengeli. He purchased a translation of the pamphlets for two pecks of raisins and two bushels of wheat. This discovered manuscript, Cervantes claimed, became the basis of the rest of the first part of his novel. Rather than being found in some exotic place after a search filled with drama, difficulty, and great cost, Don Quixote was rescued from the garbage and translated on the cheap. This article was also published in the Fall 2015 issue (pdf) of The Source, a quarterly publication of the American Translators Association Literary Division. I’ve read all the short stories nominated for this year’s Nebula Awards, presented by the Science Fiction and Fantasy Writers of America. The awards, which include novels, novellas, novelettes, game writing, dramatic presentation (television, movies, etc. ), and young adult books, will be presented May 18 in Los Angeles. My heart was in my throat, hoping the witch librarian would help the troubled boy find the book he needed to escape his life, and the boy would accept the magic that the book had to offer him. I read this slowly, knowing it was a short story and would end soon, trying to give myself more time to enjoy it. Magic, indeed. The story encompasses nine short biographies of the slaves whose teeth came to be part of Washington’s dentures. (True story: Washington had dentures made of human teeth.) Since they form an alternate history of a world in which there are various kinds of magic, I kept expecting the consequences of this magic to change the sweep of history, but they did not. Still, well worth reading. A visit to a haunted house led to disaster for a boy. Now an adult, he returns. The house is still haunted, but he might be able to beat its time-space mutations. The real story is the protagonist’s personal history of his unhappy family, shortcomings, and childhood disasters. This is done well, yet it feels familiar, resembling quite a few other literary short stories I’ve read. Perhaps unhappy families can be alike, too. A boy discovers the cost of magic, and he learns that good intentions do not overrule cold cause and effect. The fable-like telling feels too distant, and the story seems familiar. There are no new stories, true, but perhaps a more detailed, close-up telling could have revealed new contours of yearning within an old idea. A military commander must turn off a humanoid robot that was badly injured in the line of duty. Up until that moment, the commander has shown the emotional response of a turnip, yet he suddenly sinks into bathos. This story got on the ballot through the not-a-slate 20BooksTo50K® slate. It has some merit, but it’s not ready for prime time and is not one of the year’s five best short stories. It shouldn’t be on the ballot. An asteroid is about to destroy the Earth, and a rich man with a rocket must pick the three thousand people who will escape death and perpetuate humanity. This is a cliché within a cliché, and poorly told at that. The story is another on the not-a-slate 20BooksTo50K® slate, and it doesn’t deserve to be on the ballot. Free and open to the public, with refreshments, at 3502 N. Elston Ave. If you can’t come, you can read my story at Clarkesworld. It’s about battle between robots on Mars! 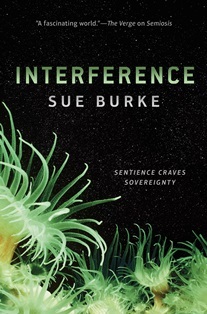 A first look at "Interference"
Here’s the cover for Interference, the sequel to Semiosis. As I said earlier this month, my husband and I were moving. We stayed in the same neighborhood in Chicago, we just relocated to a nicer apartment. 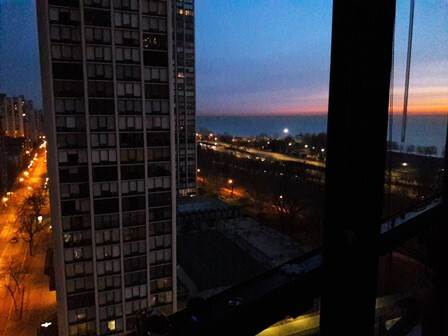 Here’s the view from my new home office at two different times in the morning. I’ve been here less than a week, and so far I love it. You can probably guess why. On Saturday, March 23, I’ll be at C2E2, the Chicago Comic and Entertainment Expo, at the McCormick Place. It’s famous for its huge “Artist’s Alley” where you can meet famous and up-and-coming comic book artists, for its amazing cosplay — and there’s plenty more to do involving games, anime, and family fun. It really is a good time. Science fiction and fantasy authors discuss their predictions of near-future SF: what has come true, and what might be coming to pass? What will Chicago look like 50 years or more from now? Featuring: Sue Burke, Cory Doctorow, Mary Robinette Kowal, and Alison Wilgus. How do fantasy and science fiction overlap and inform one another, and what constitutes magic and mayhem in both genres? How are authors breaking traditional rules of the genres and finding new ways to explore other worlds, or putting some extra magic in our own world? Featuring: Cory Doctorow, Mary Robinette Kowal, Alison Wilgus, Mirah Bolender, Sue Burke, and S. A. Chakraborty. That one-word secret to decluttering: move. You pick up a possession, hold it in your hands, then stuff it into a box. Or chuck it. That’s what I’m doing. My husband and I aren’t moving far, only four blocks away into a different apartment here in Chicago. 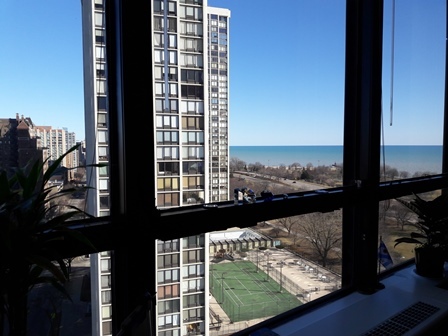 It’s bigger and has a nicer view; our current apartment is crammed between two other buildings and a train embankment. This won’t be an especially complicated move. Some of you may recall that in summer of 2016, we moved from Madrid, Spain, to Chicago, Illinois. That was complicated. In Illinois, you pay your movers by the hour of labor. In overseas moves, you pay by the bulk and weight of the shipment, and that price was about ten times what this upcoming move will cost. As you can imagine, the transatlantic move inspired extreme decluttering. We haven’t accumulated much since, so very little will be chucked or given away this time, and the process will be simple: shovel everything into boxes, and then, in the new place, dump the boxes out. This includes about a thousand books (not counting e-books). They’re our dearest possessions. 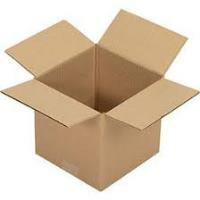 If you don’t hear a lot from me during March, that’s because I’m elbow-deep in cardboard boxes. I expect everything to go well and, in the end, I’m sure it will spark joy. Semiosis has been nominated for the Kitschies Golden Tentacle Award. I am honored — and awed by the other nominees. Perhaps it will impress the judges that the cover art of my book features genuine tentacles. 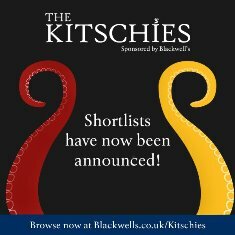 Other Kitschies award categories are Red Tentacle for the best novel, Inky Tentacle for the best cover art, Invisible Tentacle for the best natively digital fiction, and Black Tentacle awarded at the judges' discretion. The winners will be announced at an awards ceremony in London on April 15. Don Quixote de la Mancha, by Miguel de Cervantes, changed the way Spain thought about itself. It also made Spain reject any sort of non-realism in fiction, such as science fiction and fantasy, for centuries to come. Published in 1605, the novel Don Quixote tells the story of a poor, elderly nobleman driven mad by the fantasy novels of his day, which depicted brave knights and their dazzling deeds. The nobleman adopts the name Don Quixote and sets off on quests. In chapter VIII he famously mistakes windmills for terrible giants and attacks them. 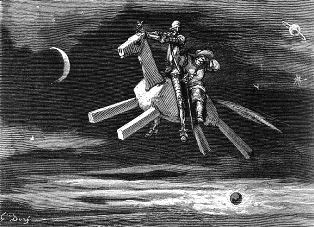 In chapter XLI, he is tricked into believing that an enchanted wooden horse has the power to carry him and his squire Sancho Panza through the sky. Cervantes’s novel appeared when Spain was in a period of desengaño or “disillusionment” after imperial losses, government bankruptcy, a deadly plague, failed harvests, economic disaster, and the defeat of the Invincible Armada. The nation had attempted to fulfill grand ambitions only to discover that it had been tilting at windmills. 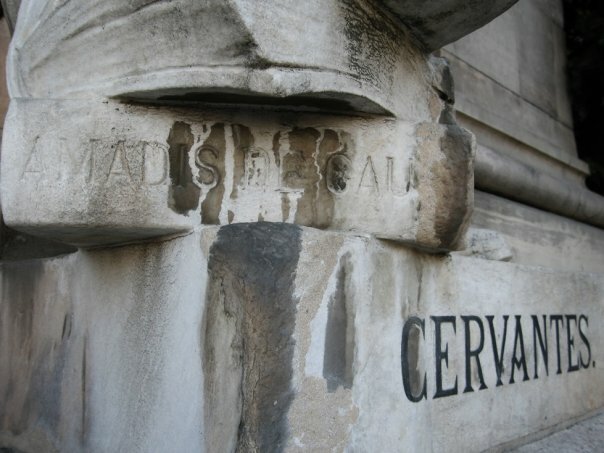 The novels that Cervantes’s fictional character read were real books that had, a generation earlier, inspired the conquistadors in their exploits: the state of California is named after an imaginary caliphate in one of those books, The Exploits of Espandian, which was the sequel to Amadis of Gaul. Ambition was not enough, though, and eventually fantasy gave way to sad reality. Don Quixote changed the way Spain thought about itself — and about literature. School children were taught to scorn those novels of chivalric quests, speculation, and mysterious unknown lands, if they were taught about them at all. Still, a few writers always experimented with science fiction and fantasy, and in the 20th century, books from outside Spain began to inspire a generation. “Fantastic” literature — science fiction, fantasy, and horror — was slow to gain acceptance as worthy literature, but in the 1980s and 1990s a growing number of authors encouraged each other and carved out a niche. In the 21st century, books like the Harry Potter and Twilight series appealed to massive numbers of young readers, to the surprise of established publishers and to the delight of the small publishers who had taken a chance on those novels and cashed in. Just as in the English-speaking world, Spanish “mainstream” literature still remains leery of too much imagination. But it can no longer bar the door to respectability. Readers have had their say. One reason to learn a foreign language is to find out about your own. Spanish — and French and Italian — avoid repetition by all means, frequently by employing what H.W. Fowler in Modern English Usage disparaged as the literary fault of “elegant variation.” But repeating words in English, except when done carelessly, is no fault: it adds clarity and even beauty. Repeated words sound especially beautiful to an English-language ear when they form part of a parallel structure, that is, a part of repeated grammatical structures. Why is English like this? 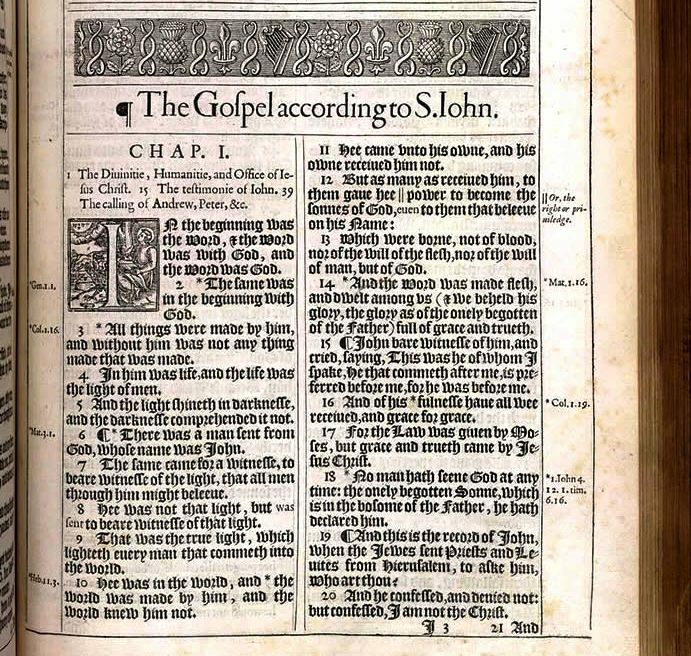 Because of the 1611 Authorized Version of the Bible, the “King James” Bible. As soon as it was published, its constant use as the major work of literature readily available to the ordinary person made it the standard and model of our language. Fortunately for us, the translators produced a direct, unornamented work meant for ordinary people, not scholars. They wrote when English was a new and fresh language and could be used without complication. They stuck close to the original languages, notably Hebrew. Much of that Hebrew was poetic, using concrete and vivid language with simple phrases, easy to translate. Hebrew poetry does not rhyme; instead, it uses parallel, balanced structures of phrases or ideas, and of words or rhythms. The second half of a parallel may paraphrase the first half, it may give a consequence, it may contradict the first half, or it may add stronger and stronger clauses or sentences that lead to an apex. The rhythm can make the prose musical. I have a dream that one day in the red hills of Georgia the sons of former slave-owners and the sons of former slaves will be able to sit down together at the table of brotherhood. I have a dream that one day even the state of Mississippi, a state sweltering with the people’s injustice, sweltering with the heat of oppression, will be transformed into an oasis of freedom and justice. This is our home. This is the faith that I will go back to the South with — with this faith we will be able to hew out of the mountain of despair a stone of hope. Friday, 10 a.m. – Book Reviews vs. Literary Criticism: But Is it Good? What is the role of a reviewer compared to that of a critic? What are the differences? What serves the genre more? How do we deal with fan reviews, especially those so-called reviews on Amazon and Goodreads? Most SF and fantasy assumes that there is an endless supply of money, spaceships, horses, swords, ray-guns and … Our panelists will discuss how and why to consider economics in world-building. Okay, so you’ve written your novel. Now what? Our pros guide you through what your next steps need to be and what your options as a writer are. Modern genetic science may be able to recreate extinct life forms (such as mammoths). There is also the possibility of creating even stranger creatures (such as griffons, dragons, and even centaurs) by mixing genes from widely different animals. What are the pros and cons of playing with our new genetic toys in this manner? Megan Leigh at the website Breaking the Glass Slipper has asked me five questions about the novel Semiosis and science fiction: the lure of first contact stories, the affinity between hard SF and horror, communication obstacles in the story, overlooked female SF writers, and why you should read Semiosis. Read it here. With all the talk of decluttering lately, here’s something useless, stored away in a box and half-forgotten, that I will never throw away: the key to my parents’ old home. They left that house more than twenty years ago. That house … They loved living there, a small ranch home at the end of a cul-de-sac. They enjoyed its wide windows, airy sun porch, and large back yard. My mother planted a flower garden in front and a vegetable garden in back, and together they worked hard to create a charming, comfortable interior. On weekends they would visit nearby parks, go to sporting events, or simply relax at home. They were happy there. I remember the times I visited. I lived in nearby city, and I had the key because I could come anytime — always welcome, just walk right in — and I came when I could for holidays and visits. My parents have died, someone else lives in that house, and I’ll never go back. Someone else might think that the old key is useless, but they never used it to walk into that happy home. Once, that key opened a door. Now it opens memories. Stefano Mancuso, an authority on plant neurobiology, begins by showing how plants can remember things, although they don’t have a brain. They can move, although they have no muscles. They can imitate items in their surroundings like stones or other plants, although we don’t think they can see. It’s clear that plants pay scrupulous attention to their environment. He describes the ways plants do all this in an entertaining and easy-to-understand way. Then, in Chapter 4, he pulls these abilities together by stressing the differences between plants and animals. Beings that can move (animals) tend to avoid problems. If the sun is too hot, animals try to find shade. If something wants to eat the animal, it runs away. Beings that are rooted in place (plants) have to solve problems. Beings with brains and other central organs can react faster, but that also makes them more vulnerable. Decapitate an animal and it’s dead. Chop off a branch of a tree, and the tree carries on. Beings with dispersed problem-solving abilities may react more slowly, but they’re more resilient. How can a being with no central intelligence solve complex problems? Mancuso suggests that plants act more like flocks of birds: each part, each cell, reacts to its environment, and the changes in the cell and changes in the environment affect the other parts of the plant around it. Together, the plant acts as a coordinated whole. He offers several ways for decentralized intelligence to work in order to reach what looks to us like a decision. He goes on to describe the ways that plants manipulate animals, the lessons we can learn from plants in fields like architecture and robotic design, and how plants respond to weightlessness. I received this book as a gift, and I lingered over the stunning photos. Plants are beautiful, and the presence of plants seems to soothe human beings. Most of all, Mancuso’s love for plants permeates the text – and his respect for them. By weight, the vast majority of life on Earth is plants. They are master problem-solvers, he says, and we can learn from them how to solve some of our own problems. I’ll be reading at an open mic Saturday, January 26, from 7 to 9 p.m. at Second Unitarian Church of Chicago, 656 W. Barry Avenue. Free and open to the public to listen or participate. Light snacks provided, BYOB (bring your own beverage, alcoholic or otherwise). We hold these open mics every few months at my church. Readings, music, spoken word, dance, and other forms of creative expression are welcome. You can find out more at the Facebook event page. I’ll read this essay, which I wrote while I was living in Madrid, Spain. Spain is famous for encierros, or running of the bulls, and when I learned there was going to be one at a fiesta in a suburb of Madrid, my husband and I went to watch. (Not to run.) There was no violence, no blood, no harm to the bulls — but no courage on display, either. Instead, I observed something quite different about humanity, and perhaps not even Ernest Hemingway could have turned it into a novel. In 2009, I started translating the medieval Spanish masterpiece, Amadis of Gaul, a chapter a week at the Amadis of Gaul website. It took me nine years (it’s a long book), but I’ve finished! This novel, published in 1508, traces the life of the greatest knight in the world, Amadis of Gaul, starting with his conception and birth (outside of formal wedlock). He becomes a knight and battles evildoers and sorcerers, and he protects the kings he serves. He also falls in love with the most beautiful woman in the world, an unobtainable princess — and she loves him, too. Courage and passion fill this story. You can read it at the website, or you can enjoy it in the convenience of a four-volume set in paperback and e-book, now on sale. Why should you read this novel? 1. It’s one of the pillars of European literature and was the first continent-wide best-seller. It kicked off a century of tales of chivalry, a genre now known and loved as “sword and sorcery.” Knights in shining armor go off to fight for what’s right — with bravery tempered by fear. For readers, it was great fun, and it still is. 2. This is a story of the Middle Ages told by people in the Middle Ages. Their take on love, magic, war, fantasy, and honor doesn’t quite match our own. You can better understand their thoughts and get a glimpse of their daily lives by reading their own words. One thing I learned: being alone made them feel painfully anxious. 3. The plot is complex. It’s not just about Amadis, it’s about his family and friends, his beloved Princess Oriana, damsels in distress, and distressing damsels. The novel became a favorite of women and girls — and, eventually, it was accused of corrupting them. Don’t you want to be corrupted, too? 4. If you like Don Quixote de la Mancha by Miguel de Cervantes, you’ll like it even more after you read Amadis of Gaul. You’ll get a lot more of the jokes. Chapter 6 of Quixote calls Amadis “the best of all the books composed in this genre” — and there were almost 80 books of that genre available at the time in Spanish, all inspired by Amadis but never equaling it. 5. Fight scenes! Knight versus knight, army versus army, fleet versus fleet, and knight versus horrible monster. It was originally written as four “books,” each the size of a modern novel. Each volume includes notes to chapters, introductory material, information about the Middle Ages, lists of characters, and references. This novel drove Don Quixote mad. What will it do to you? Novelette. This isn’t a good time for alien life forms, no matter how simple and harmless, to land on Earth. Novel. A first contact, multi-generational story about colonists on a planet where plants are the dominant life forms — and they see animals, including humans, as their pawns. 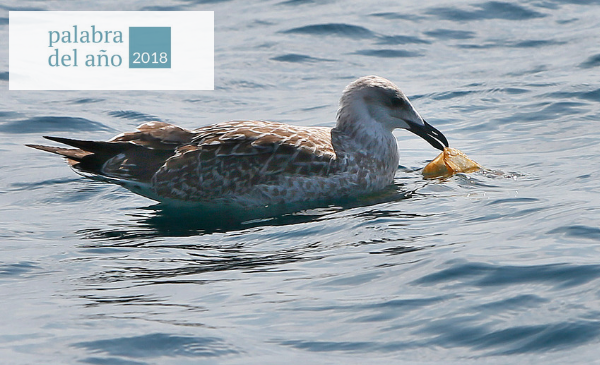 Spain’s Fundéu BBVA, which addresses critical questions about the Spanish language, has chosen microplástico (microplastics) as its word of the year for 2018. 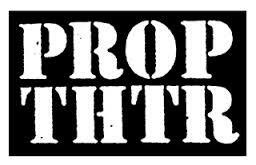 The foundation chooses its word of the year from terms in the news. This word “highlights the awareness of one of the great environmental problems facing humanity,” according to the foundation’s website: many of the questions that the media had for Fundéu BBVA this year involved words related to the environment, which led to the selection of microplastico. Runner-up words for 2018 were: descarbonizar (to reduce carbon emissions), hibridar (make hybrid, as with cars), mena (“menor extranjero no acompañado” or unaccompanied foreign minor immigrant), los nadie (the nobodies, people invisible or overlooked by society), micromachismo (male supremacist microagressions), VAR (“videoarbitraje” or video assistant referee), sobreturismo (overtourism), procrastinar (procrastinate), arancel (tariff), dataísmo (tendency to consider data supremely important) and nacionalpopulismo (alt-right). Its word of the year for 2013 was escrache (a kind of protest), 2014 selfi (selfie), 2015 refugiado (refugee), 2016 populismo (populism), and 2017 aporophobia (fear of poverty and poor people). Meanwhile, here in English, the words of the year were toxic according to Oxford Dictionaries; misinformation, Dictionary.com; single-use, Collins Dictionary; and justice, Merriam-Webster. As I noted earlier, I can only conclude that in the English-speaking world, the year 2018 had a lot of problems. The Spanish-speaking world had the similar problems. Now 2019 is about to land on us. What will we talk about? Our larger conversations are certain to remain troubled and troubling. My Goodreads review: "How to Clone a Mammoth"
Summary: It might be impossible to clone a mammoth, or, for that matter, to clone any other extinct animal. And it might not be necessary. The author leads the reader through the problems and reasons why it might not be a good idea even to try in some cases. For example, some animals have gone extinct due to changes in their habitats, and unless these habitats have been restored, the resurrected animals would have no place to go. In addition, DNA is fragile and hard to come by for long-extinct species like mammoth. Shapiro also considers the ways to solve some of these problems along with the benefits from de-extinction. If mammoths were reintroduced, they might transform the tundra into rich grasslands. Mammoths would also trample away the snow in winter. Snow acts as insulation from the cold air, so the permafrost would be frozen harder and thus be protected from melting by a warming climate — and permafrost has a storehouse of greenhouse gasses locked up in it. Melting permafrost would be a disaster. But rather than de-extinct species, existing species could be engineered to be so much like them that they can serve the same ecological purpose and even look a lot alike. We can change elephants in a way to bring back something just like a mammoth. Shapiro doesn’t oppose de-extinction, but she knows it’s going to be hard to do and wants readers to understand what’s involved and what the alternatives are. She fulfills her goal to teach and to share her cautious enthusiasm. P.S. I read this book as research for a novel. No spoilers, though.